At SafeSplash, we believe swimming is a life skill®. Therefore, we approach each one of our swim lessons with great skill, care, passion and individual attention. When learning at SafeSplash, every student gets the benefit of a curriculum that has been tested and proven over 7 million times in our schools throughout the country. In addition, each student gets the benefit of learning a curriculum that has been designed by a team of world class swimmers and with the help of Olympic Champion and professional swimmer, Missy Franklin. Experience what it's like to take swim lessons at SafeSplash by watching our video, SafeSplash Lessons from a Kid’s Perspective to get the full underwater experience! Our curriculum has been developed by a team of world-class swimmers with over 30 years of teaching experience. We have the most up-to-date swimming technique to teach students how to swim the correct way right from the beginning! In addition to teaching water safety to every swimmer, our goal is to teach confidence in the water that will translate to all parts of your swimmer's life. Whether the goal is water safety skills or competing at an elite level, our program is designed to teach all ages and abilities. Our curriculum consists of 12 unique teaching levels, and uses a progressive teaching approach that allows for your swimmer to learn to swim comfortably at an individual pace while creating a learning environment that is not only fun, but allows for maximum skill retention. We are fiercely passionate about swimming and we are excited to take your swimmer from bubbles to butterfly! We offer a rolling start date, meaning you can start your swimmer at any point. When you sign up for group swim lessons, we will hold your spot indefinitely unless you request otherwise. Click here to determine your child's swim lesson level. In addition to Group Lessons, SafeSplash offers additional programs you can view here. Additional programs may vary by location, so contact your local school for more information. Every one of our SafeSplash CertifiedTM instructors is a true professional. We go to great lengths to ensure that each instructor has been trained and certified in all aspects of our curriculum and is qualified to deliver only the best swim instruction experience to each student. 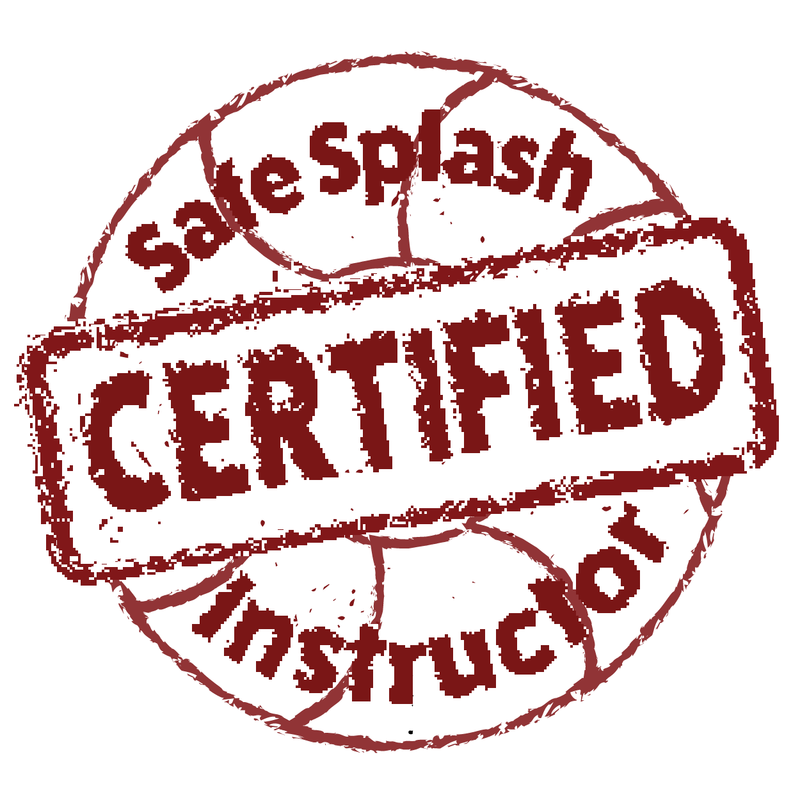 Our instructors are not certified to teach SafeSplash lessons until they have completed an extensive training program, complete a series of certified instructor shadowing sessions and complete in-water instruction testing. At SafeSplash, SafeSplash CertifiedTM means quality, professionalism and knowledge that your student is learning from the best in the industry. Thinking back to grade school, we all can remember what it feels like to learn from a teacher we love, a teacher that is great match. They teach in a language and style that resonates with us. They teach in a manner that we understand. While different teachers can teach the same topic, the manner in which a teacher teaches makes the difference in our learning. At SafeSplash we understand a great match makes a big difference. Our proprietary approach to assigning instructors to classes allows us to match each student to an instructor's style. We call this the SafeSplash MatchTM. Our match is truly special. It gives a student the benefit of learning the SafeSplash curriculum where it is delivered in a style that is comfortable and fun for the student. Our matching technique optimizes learning, fun and progression in a way where the expectations of both the parent and student are exceeded. Ever wonder what these skills are and what your child is working on? Does your child look forward to showing you the great things they are learning as they develop? There is nothing more fun than experiencing that feeling of pride in your child when they show you something they've accomplished. Every month, all parents are invited out to the pool for Splash-N-TellTM to see exactly what their child is working on and interact with their child's instructor. *Valid at participating locations only.